Groundbreaking business training compiled in a single audiobook. Standard business schools and programs ignore the fast-paced change in the business landscape today. They waste your time with anachronistic concepts that will only confuse you and slow you down when you try to apply them in real life. 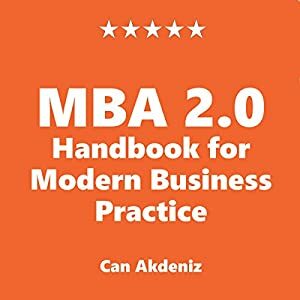 MBA 2.0 contains 38 topics you won’t learn in business school. It is drawn from research into how business is conducted today and how it will be conducted in the future. It won’t waste your time with outdated theories and models, but instead it brings you powerful ideas and techniques that you can use today.